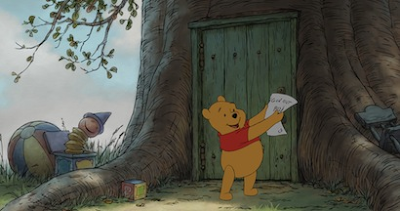 Winnie the Pooh is one of Audrey's top movie picks to watch right now. Such a sweet and darling film. Kip makes a special treat for Audrey while she watches, toast with a little butter and honey on top. She loves this. We were sent a DVD/Blu-ray combo pack for review and I have to say that my favorite part is the Sing-Along option, because I really really love the soundtrack and I can pretend to be Zooey Deschanel while I sing along. ( : I also love that the runtime is sixty three minutes which is the perfect length for a toddler (and her mom). If you are thinking about what to get a small loved one for Christmas this would make an excellent gift! I have one DVD/Blu-ray combo pack + some extra goodies (a tigger and pooh mask, notepad and magnet) to giveaway to one of you! Yay! All you have to do to enter is leave any topic related comment. I will pick a winner on November 22 at 11:59pm and email you if you win. Make sure you leave your email (if not already on your profile) so I can contact you. US only. Good luck! Some fun coloring pages for you to print out! So, tell me, who is your favorite Winnie the Pooh character? How do you like your honey? I love Tigger. He is my favorite! The Winnie the Pooh stories have always been my favorites. Its so wonderful that they have endured the test of time and our kids get to enjoy them as well. Aside from Pooh, I've always been drawn to Kanga & Roo: they're so sweet together. Thanks for the chance! Piglet is my fave character. I think Owl would have to be my favorite as he is really wise. I love my honey in smoothies. It is a healthy way to make them sweet. Tigger has always been my favorite :) I would love to see this movie! I used to like Eeyore, but now I prefer Piglet. i love Pooh. he's just adorable!! My favorite is Piglet! Love all of them but Piglet is so cute and funny! I love Tigger and I like honey in my tea. Yummy! of all the charcters from the pooh stories I would say that eeore is my favorite. He represnets the pessimest in all of us. and somehow perserviers. 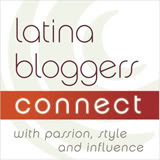 I'm back in blogsphere after a long break. I like Piglet and Eeyore. I like honey in vanilla Greek yogurt. Piglet is my favorite and I like my honey in tea! I was just thinking today, "I bet my daughter would love Winnie the Pooh"! I personally am a fan of Piglet; his cute little voice is my favorite! My favorite character is Eeyore...I always felt empathy for him. :-) Thank you. Who do you think Laine's favorite character is?